The existing building at NW 22nd and Raleigh is one of a number of buildings located on the 25 acres of land in Northwest Portland that was controlled by the trucking company Con-way (now owned and incorporated into XPO Logistics). The Leland James Center was built in 1973, and was used by Con-way as an office and data center. While the XPO Logistics continues to have a large presence in the area, their truck maintenance and depot facilites have now moved off site, and much of their property has become surplus. 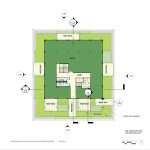 After years of work, a masterplan for the entire site was approved in 2012. 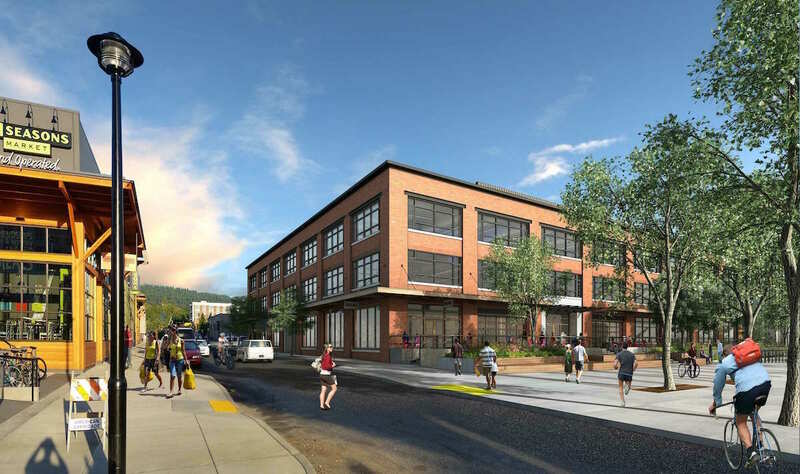 The first buildings to be approved in the masterplan area were the LL Hawkins and Slabtown Marketplace, which include the first branch of New Seasons Market in NW Portland. 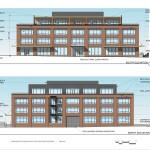 Construction is now underway on Blocks 294E and 295E. 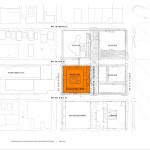 A Design Review hearing for Block 290 is currently scheduled for May 20th. The existing three story building is being stripped to its steel frame, which will be newly exposed at the interior. A new penthouse level will be added, constructed out of heavy timber framing and clad with metal panels. At the penthouse level a series of roof decks will be added, one for the common use of all building tenants and five for individual tenants at the top level. In between them will be a series of planted ecoroofs. The lower floors will be reclad with a brick veneer. New aluminum windows will be significantly larger than the existing windows on the building. Wood storefront windows and doors will be added at the ground level. 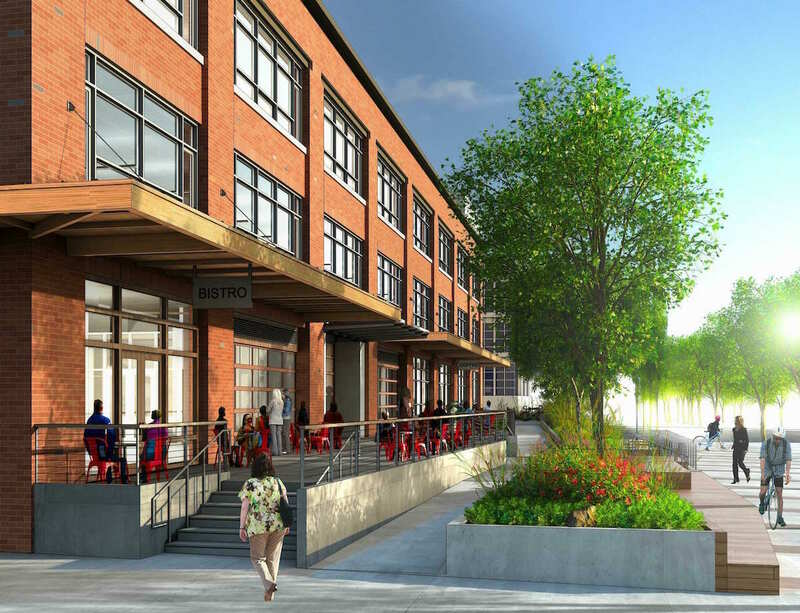 In conjunction with the Conway Blocks 295E and 296E project, the project will create a new pedestrian access way between NW Raleigh and Savier. 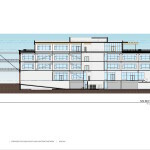 A new elevated dock with the potential for outdoor seating will align with the existing ground floor level of the building. 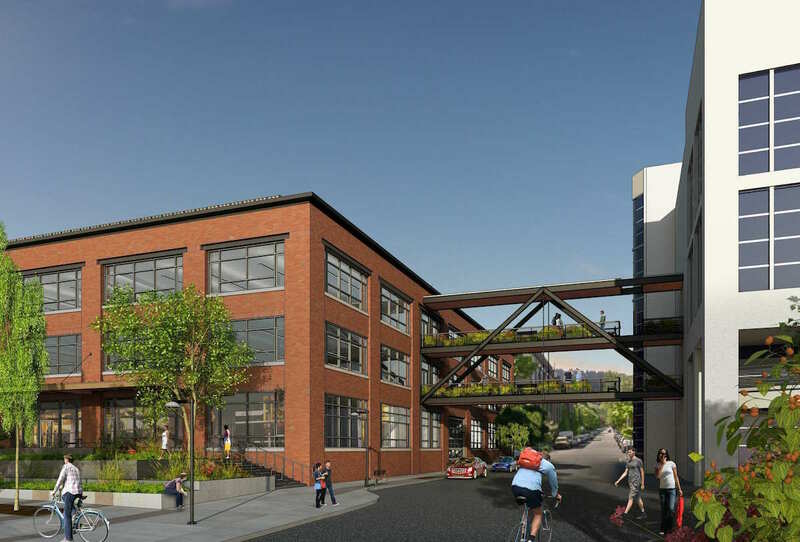 An existing sky bridge of NW Savier will be retained and converted into what the architects are calling a “sky porch”. The structure will be stripped of its glass cladding, and open for the use of the office tenants. Through access to the XPO Logistics building to the North will no longer be allowed. 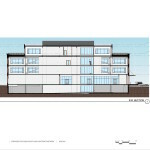 The proposed renovation will be a significant improvement to the existing condition of this building which was built in 1973 and seems rather dated with concrete aggregate cladding, and narrow mirrored windows. The building currently is closed-off to the public realm and adds little interest to the neighborhood. 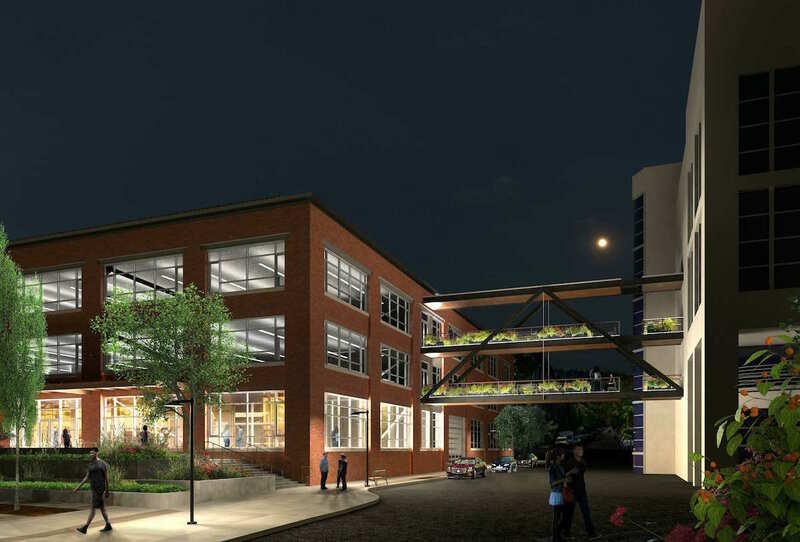 The proposed renovation is inspired by traditional warehouse architecture with a load-bearing masonry aesthetic and large commercial windows. 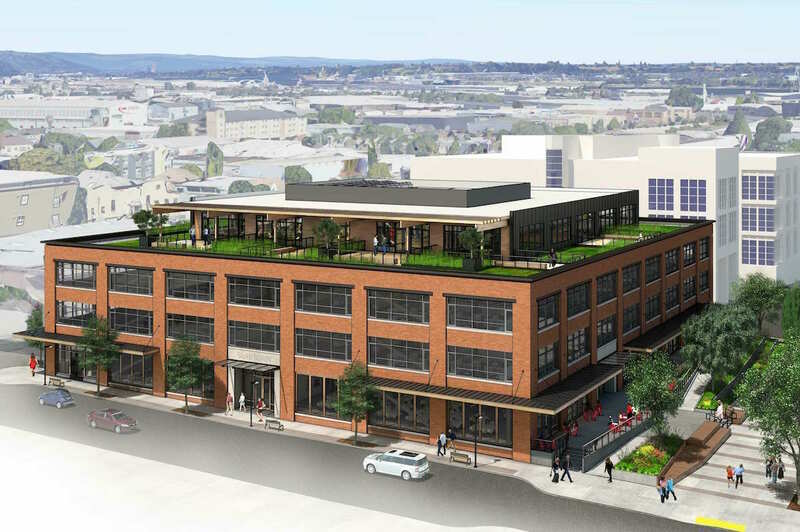 The introduction of retail and sidewalk level entrances will increase the vitality of the building in relation to the neighborhood. 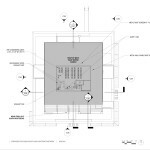 The proposed materials are high quality and simply but elegantly detailed. 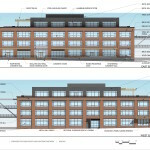 Overall the building will bring new energy while also serving as a polite fabric building at the transition zone between the existing neighborhood and this developing neighborhood. 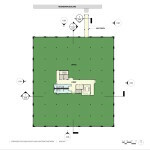 A building permit for the renovation was issued in September 2016. 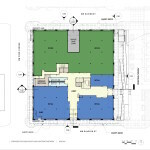 Delivery of the building is expected later this year. 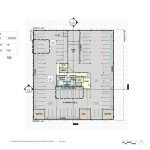 This entry was posted in Cairn Pacific, Capstone Partners, Conway Masterplan, Leland James Center, Northwest, SERA Architects. Bookmark the permalink.